Recommend a simple shell script to verify if the remote server is active / inactive and send an email to admin? I have two input entries. When you click Send, you must first open the laoding. Then it was necessary to verify, whether in the entry there is any written or clear value. After everything is written in all the entries, then the shipment must form something that prevents the action. This function 3, submit, fadein and preventDefault should work together. I hope that first by clicking Send, first show fadeIn, then check with condition_is_failure and then make the last form or prevent the form in dependence if a = 0 or more. I'd like to use Google Groups as an impromptu mailing list. I do not want anyone to be able to post to the group, but I want people to be able to send me an email. When they return the email, I do not want them to receive an email to which their reply has been sent. How do I set this up in Google Groups? I wonder if it is possible to automatically send a web form programmatically after visiting its URL and save the user with a click on the "send" button. I have a paper invoice with a printed bar code and a barcode reader device. I want auto-submit the web form When the link above will be visited! A user will scan the barcode. Sent automatically without having to click on "Send"
/ specific-url And with a somewhat similar confirmation message. a: "the web form has been automatically sent in your name". 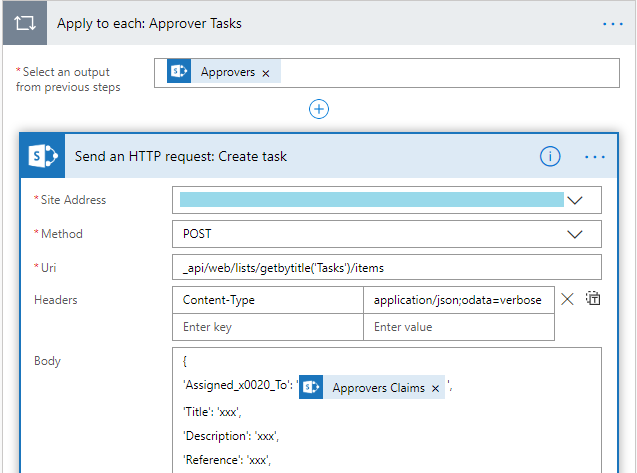 So, in summary, how to automatically send a web form when you visit the url of the web form with query parameters? Visas: Can you send me back home if I do not have documentary proof that I will, in fact, return to my country? I am a Peruvian citizen with the intention of traveling to the Netherlands in July to visit my girlfriend, she is a Dutch citizen. I intend to stay for 85 days or so, because I would also like to visit some friends in Germany. Just to give you a little more information on the subject, we, the Peruvians, have not had the need to apply for a visa for stays of less than 90 days in any Schengen country since February 2017, I think. The Schengen community signed a treaty with Peru and Colombia to make this possible. Peruvians could enter the country without hurry, as long as we met certain requirements, which include: having sufficient funds to cover the expenses, the return ticket, the valid passport, the travel insurance, the hotel reservation or an invitation to the person who receives it. In fact, I traveled to Holland to visit my girlfriend in September 2017 and I had no problems at the immigration counter because I met all the requirements. However, in recent times a new requirement has been added to this list, which is documentary proof that you have enough reasons to return to your country. Unfortunately, I will not have this since the contract with my current employer will end at the end of June (traveling in July for this reason) and I do not own any property in my country of origin. So, with that in mind, I would like to know how damaging it could be for my admission to the country not to have this document. Even complying with all other requirements and having a clear record of not staying illegally anywhere. Should I, on the other hand, reduce the length of my desired stay to make the admission process smoother and then try to extend my permission once I am there? Or could the immigration counter officer be more lenient since I have all the other requirements covered and my record is clear? And just to clarify, I intend to return to Peru since I would not like to jeopardize my chances of visiting my girlfriend again in the near or distant future. Any answer would be very appreciated !! Well, that's it, I'm new to programming and to the community so my apologies if I do not know how to behave, the thing is that I'm trying to send a parameter from an Activity Data towards a class Canvas but I can not find a way to do it, I tried to send the parameters from Data with intent.putExtra and receive them in Canvas with getIntent () but because Canvas it's a class the method does not work. class Canvas extends from View because I use it as a container Canvas. I would greatly appreciate the help and suggestions if I do not understand. And for some reason they will not send me the code? 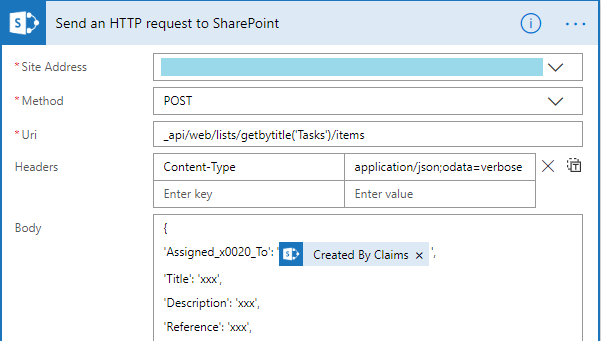 I've been playing with Flow: Send HTTP request to SharePoint to create items in a list. Everything works fine until I include the Person: Assigned to field. Looking at the list of XML elements that I see Assigned_x0020_ToId, so I guess I need to pass the numeric ID of the person. Do I need a step before resolving the user or searching for their ID? For your information, you would have used the Create Available element but Flow seems to ignore the searches in the site columns.